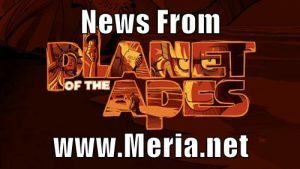 12/3/18 News of Planet of the Apes, with Meria. The G20; deal with China? Believe it when it happens; Mueller closing in; Liars and thieves; Justice Kennedy,trump & Deutsche Bank; Netanyahu bribery charges; 7.0 Alaska; smoke from Calif across the country; Saudi Prince & Khashoggi; George HW Bush dead; riots in France; UAW; Don Jr; Mexico’s new President; Comey; Sandra Bland; Dershowitz; Kushner & Saudi’s; N.Carolina election; nothing new about NAFTA; Abe burns trump; Whitaker; trump Tower Moscow; f/b vs.Soros; Marriott hacked; trump spooked; Israeli Cyber firm; Israel & 2016 election; trumps former tax atty raided; US police Departments say no to training with Israel and much more news.